Carrie Kish is an avid herpetologist, and animal trainer with a 15-year career in professional dog training, working primarily with dangerous dogs and dogs with fear and anxiety disorders. 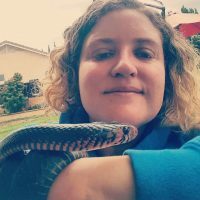 In 2012, while working for San Diego Zoo Global, Carrie founded Reptelligence with her co-worker and good friend Alex Konold, with the intention of exploring and showcasing the cognition abilities of reptiles and amphibians. Since that time, the Facebook page Reptelligence: Enrichment, Training, and Education has gained an international following including pet owners, veterinarians, zoo curators, professional animal keepers and trainers of all species. 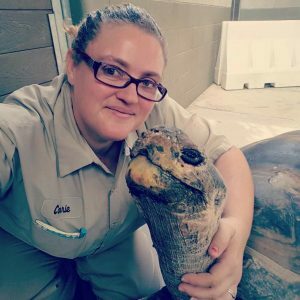 Carrie has worked closely with a variety of species from rhinos to roaches, parrots to porcupines, cheetahs to kestrels, and Tuataras to Tarantulas. 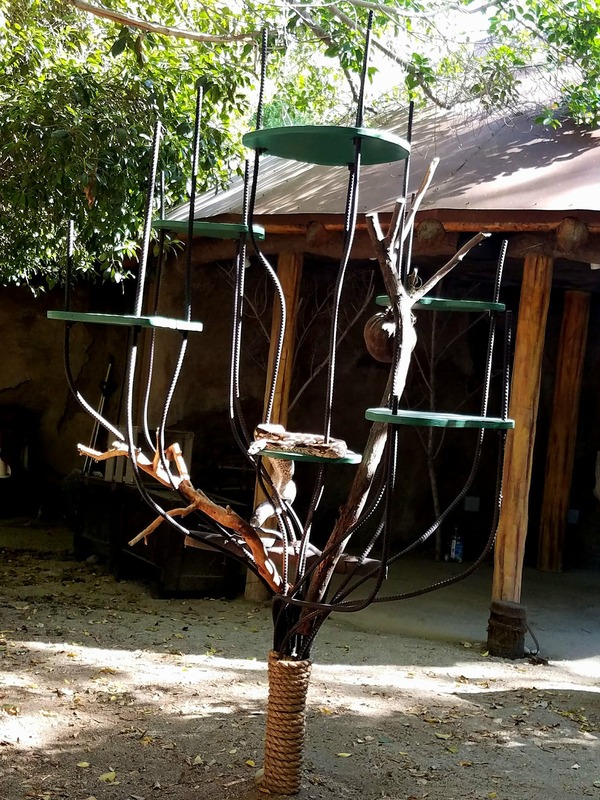 She holds a Bachelor of Arts degree from Biola University and is working towards a Master’s degree in Ethology at the Ethology Institute, University of Cambridge. CLICK HERE for the Reptelligence Facebook page. CLICK HERE for the Jim Mackie – Animal Training and behavior officer, Zoological Society of London. CLICK HERE for the John McGuigan; Glasgow dog trainer podcast episode. CLICK HERE for the Morten Egtvedt Podcast episode; Clicker training, free shaping, cues & fluency. 23rd March 7:30 am, 2018 (New Zealand time). CLICK HERE to convert to your time zone. Also, if you like this then you will love the next LIVE ATA members only web-class we have scheduled featuring Carrie Kish on Snake Training! Animal well-being, educating others and current research. Overview of challenges faced when training reptiles. Events are for ATA paying members only. We don’t want you to miss out though, so we’re giving you the chance to join for just $1! You can access your exclusive $1 ten-day membership trial below! Fantastic podcast! It left me emotional several times at the previous plight of these animals in captivity. Now that’s changing because of people like Carrie. She speaks so beautifully on her passion. I am never going to look at reptiles the same ever again. Just wow! Awesome podcast. Thanks Carrie, I’m on a journey to learn more about Reptelligence; Ectotherm and snake training/enrichment and this podcast was much needed by me. I’m still taken back by keeping a snake focused on a puzzle for 2 hours.